The battle over genetically modified foods continues, but the number of companies publicly taking a stand against them is growing. NEW YORK (TheStreet) -- The battle over genetically modified foods continues, but the number of companies publicly taking a stand against them is growing. Genetically modified organisms, or GMOs, are plants or animals that have been genetically engineered with DNA from bacteria, viruses or other plants and animals that can not occur in natural crossbreeding, according to the Non-GMO Project, a non-profit organization dedication to the education of GMOs and helping consumers find alternatives and considered the main organization used by many companies to verify their non-GMO foods. As consumers become more health conscious and knowledgeable about what they are eating and where it comes from, more are demanding to know if the food they eat contains GMOs. That's resulting in both national and state-specific movements. Roughly 37 states are proposing that food labels contain whether the product contains GMOs, according to Right to Know GMO - A Coalition of States, which of course are meeting resistance from companies like Monsanto (MON, DuPont (DD and others that create GMO seeds for large commercial crop growing. Many countries already have similar labeling. Here's a list of some notable companies taking a stand. Boulder Brands (BDBD made headlines this month when it announced that it will be removing GMOs from its Smart Balance buttery spread. The roll-out of the transitioned spreads will start this month, and a full retail conversion is expected by early summer, the Boulder, Colo.-based company said on March 3. Boulder Brands says it underwent an "extensive revamp of ingredients sourcing and manufacturing processes" in order to cut out GMOs. Customers will not have to endure higher prices as a result. "Consumers are communicating strong desire for more transparency in their food ingredients, and that is leading to a growing demand for non-GMO products," Boulder Brands' Chairman and CEO Stephen Hughes said in the release. 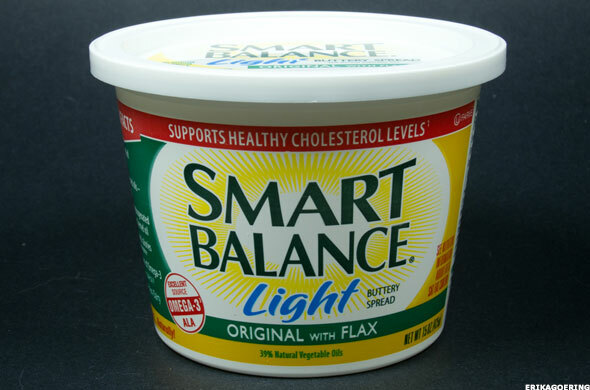 Smart Balance also sells peanut butters, popcorn, cooking oils and sprays, milk and mayonnaise, among other things. Smart Balance Natural Peanut Butter is already made using only non-GMO ingredients and the company hopes to eventually convert the entire Smart Balance product line to non-GMO. "We do plan to transition our entire Smart Balance product portfolio to non-GMO, but this is the start of a journey for us," Chairman and CEO Stephen Hughes said in an emailed statement. "This transition begins with our buttery spreads. Our peanut butter is already non-GMO. We know it will take some time, but our goal is to work closely with industry leading partners to identify the required resources and assess the conversion of our entire Smart Balance product line to non-GMO." Smart Balance was launched in 1997. The product had eliminated partially hydrogenated oils, a major source of trans fat, which the FDA only recently declared unsafe and proposed banning from U.S. food products. Smart Balance isn't the only brand Boulder Brands owns. The company's "health and wellness" platform consists of brands that target specific health trends, such as Udi`s Gluten Free (another trend for another story); the Earth Balance brand for plant-based diets; Level Life for diabetes-friendly diets, among others, it says. The company's Earth Balance brand has always been made with non-GMO ingredients, Hughes adds. Additionally, 12 of its Glutino products and Udi's Granola Clusters are verified non-GMO by the Non-GMO Project. "Boulder Brands supports our consumers' right to know what is in their food. In response to consumer demand for more transparency about what is in the foods they eat, we are taking GMOs out of our products when possible," Hughes said. "For some products and ingredients that process is clearer at this point than others, but we remain committed to this goal, and we are confident that we will find the right partners and resources to see this through." 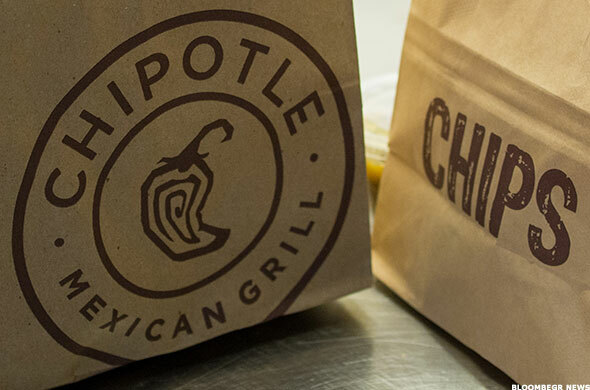 Last year, Chipotle Mexican Grill (CMG - Get Report) became the first national restaurant company to voluntarily disclose the use of GMOs in its food. It announced plans to eliminate them from the ingredients it uses at its 1,550 restaurants. As of its latest earnings report in January, the company plans to be close to, if not fully GMO-free by the end of 2014. "Our unique food culture and our unique people culture and a strong economic model that allows us to do things in ways that are unusual within the industry," Steve Ells, Chipotle's founder, chairman and co-CEO said in January. "We continue to make progress in our efforts to shift our ingredient sourcing to non-GMO options and we will remain focused on this throughout the coming months." "As of now all of our cooking oils used in North America are made from ingredients that are not genetically modified and there are only a few key steps left before all of our food is made without genetically modified ingredients," Ells said on the earnings call. "We're still working to eliminate them in our corn and flour tortillas a process we expect to be complete by the end of the year." Ells has been extremely vocal about the company's mission against genetically modified foods. "We believe that everyone, including Chipotle customers, should have access to food made from ingredients produced in a way that preserves farms and rural communities for future generations. And we know that without healthy soil, you can't produce healthy food. Given the possibility that widespread cultivation and consumption of genetically modified ingredients could compromise these things, we feel a responsibility to our customers to seek out non-GMO alternatives whenever possible," Ells wrote in the Huffington Post on Jan. 28. "This decision has been portrayed as controversial." The company went so far as to create a short satirical comedy series launched on Hulu last month called Farmed and Dangerous, that was meant to extend the conversation around the "world of industrial agriculture in America." The show, which does not have any explicit Chipotle branding, "satirizes the lengths to which corporate agribusiness and its image-makers go to create a positive image of industrial agriculture," Chipotle explained. "Farmed and Dangerous" comes on the heels of two animated short films from Chipotle -- 2013's "Scarecrow" and 2011's "Back to the Start" -- both of which helped spark conversations about agriculture and industrial food production in entertaining ways, it said. Natural and organic packaged food company Annie's (BNNY has seen growing success from selling its food once in only specialized stores to offering 125 products across 25,000 retail and mass-merchant stores. Sales for the third quarter rose 21.7% to $46.2 million in its third quarter - the most recent full fiscal quarter. 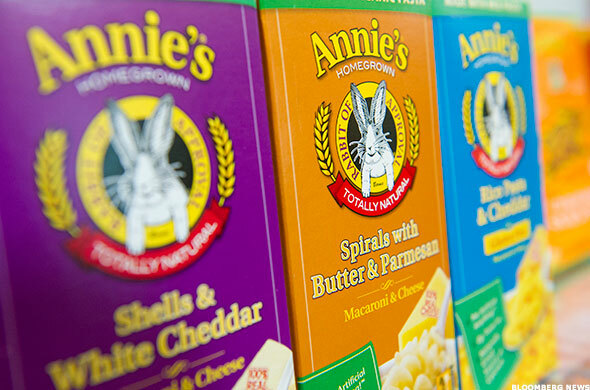 "As our sales results demonstrate, Annie's is clearly benefiting from favorable macro trends in natural organic food," Annie's CEO John Foraker said in its most recently quarterly earnings call on Feb. 10. "More than ever consumers are seeking to avoid artificial and synthetic ingredients, looking for more positive nutrition and seeking organic and non-GMO options. As a result, they're gravitating towards trusted natural organic brands like Annie's." The company uses only non-GMO ingredients and has been extremely vocal in the fight for GMO labeling. According to its Web site, the company supported California Prop 37, a 2012 initiative to label food products made from genetically engineered ingredients, that was defeated, as well as Just Label It, a national movement to label GMO-laden foods. "We are profoundly concerned about potential harmful effects GMO crops have on our soil, water, and air. Today's GMO crops have resulted in increased use of chemical herbicides, the rise of super-weeds, significant loss of biodiversity, and all for no sustained increase in crop yields. Additionally, the lack of independent research on long-term effects of GMOs on the environment and human health, is a major concern," the company says on its Web site. "To protect consumers and the environment from unforeseen consequences, we believe both thorough independent, and ongoing review of GMO technology is needed and regulatory oversight should err on the side of caution. We also believe far stronger measures must be taken to prevent unintended GMO contamination that threatens organic farming." In March 2013, Whole Foods Market (WFM pledged that by 2018 all of the products sold in its U.S. and Canadian stores -- the vast majority of its 373 stores -- will be labeled, indicating whether they contain genetically modified organisms. The task is an enormous one. From talking with over 100,000 suppliers to figuring out how to complying with federal labeling laws on certain things like alcohol, but the company is making strides. 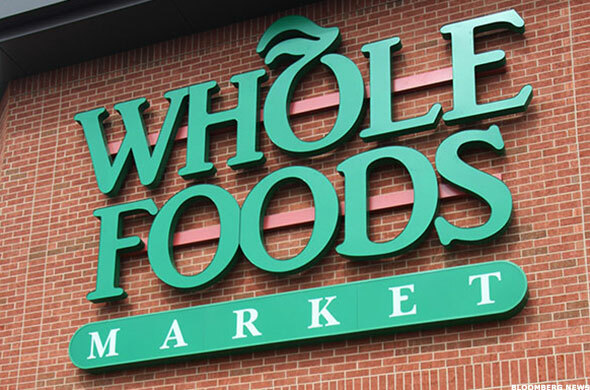 In addition, of Whole Foods' own 365 Everyday Value line of products, more than two-thirds are either certified organic, Non-GMO Project Verified, or both, a 10% increase from last year, according to a March 7 blog post on Whole Foods' Web site. Whole Foods says it is making progress on prepared foods, such as using verified non-GMO canola oil in foods prepared in stores' kitchens. It is also working with farming and aquaculture industries to focus on meat, dairy, eggs and fish. Whole Foods acknowledges that other areas, such as supplements, beer, wine and cheese, present more of a challenge in becoming GMO-free. That said: "All of us - Whole Foods Market customers, suppliers and team members - are focused on the end goal: total GMO transparency," the blog post says. With 99% of its products GMO-free, Hain Celestial (HAIN - Get Report) is the probably the leading public manufacturer of natural and organic foods. The 20-year-old company operates under many brands in the U.S., Canada and Europe from Celestial Seasonings teas and Earths Best Organic to Almond Dream and Arrowhead Mills. 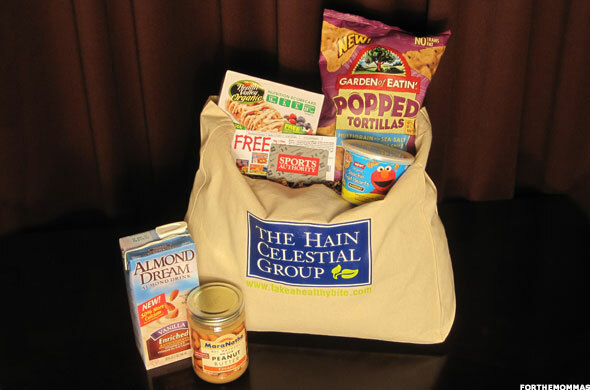 Lake Success, N.Y.-based Hain Celestial sells through Whole Foods, Kroger (KR, Wal-Mart (WMT, Costco (COST, Target (TGT among other stores. Net sales rose 18% to $535 million for the second quarter ending Dec. 31, a record and the 12 consecutive quarter of double-digit sales, the company said in February. "With a good start to our third quarter, we expect to deliver a strong second half in sales and profitability as consumption trends reflect consumers seeking out our organic and natural products," Chairman, CEO and founder Irwin Simon said in the earnings release. "The consumer is waking up and saying, 'Wait what are genetically modified ingredients? ... and [U.S.] and Canada and third-world countries are the only countries [allowing] genetically-modified ingredients," Simon told CNBC in January. Simon also notes that just because a company is changing one specific product to be GMO-free, for example, doesn't mean that they are suddenly a natural and organic food company. Simon was specifically referring to a question regarding General Mills' (GSM decision to change its original Cheerios to be sourced from GMO-free ingredients. "I think it's great that big companies are getting into this," Simon said. "It brings more and more awareness to the consumer. We're well ahead. We're one of the biggest producers of GMO-free foods."